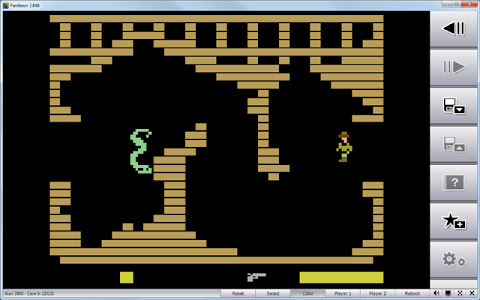 The next release of Pantheon will be all about Atari 2600 games. Again? Yes, but this time I will try to bring you the best from Atari 2600 homebrew scene. Pantheon already has several home-made games (Elevators Amiss, Hunchy 2...) in his library, but there are a lot more available. During this new years holiday I added almost 30 homebrew games to Atari 2600 game library, and I can only say: not bad. Not bad at all!